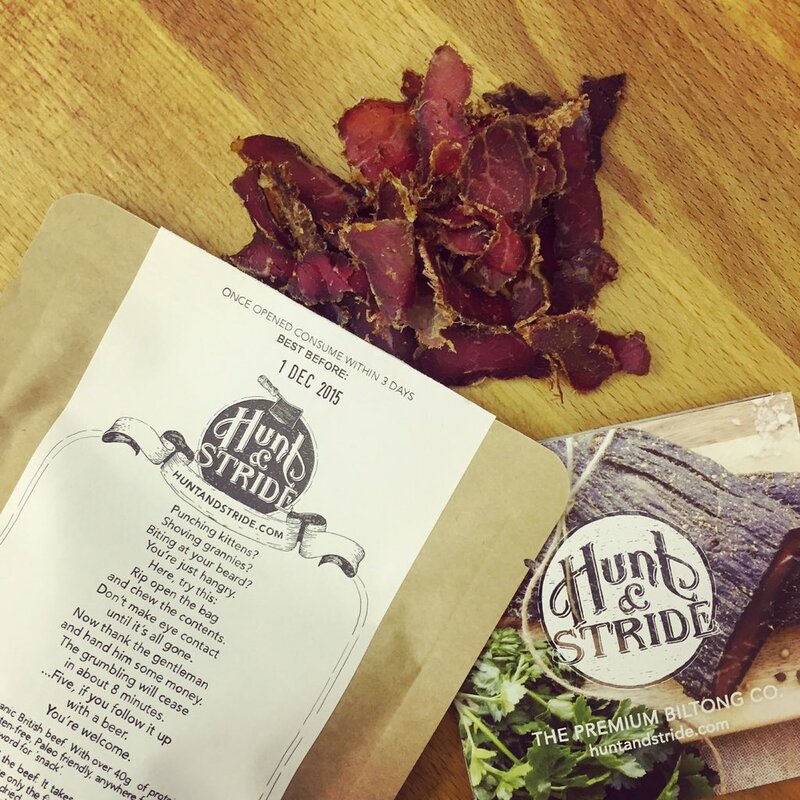 Hunt & Stride produce handcrafted, small-batch cured beef biltong with grass-feed meat sourced from local British farms. Using only organic spices, vinegar and traditional South African dry-curing methods, the Hackney based company caters to the growing demand for all natural, locally produced, protein rich food. No additives, no preservatives, no MSG, no nitrates, and no gluten. 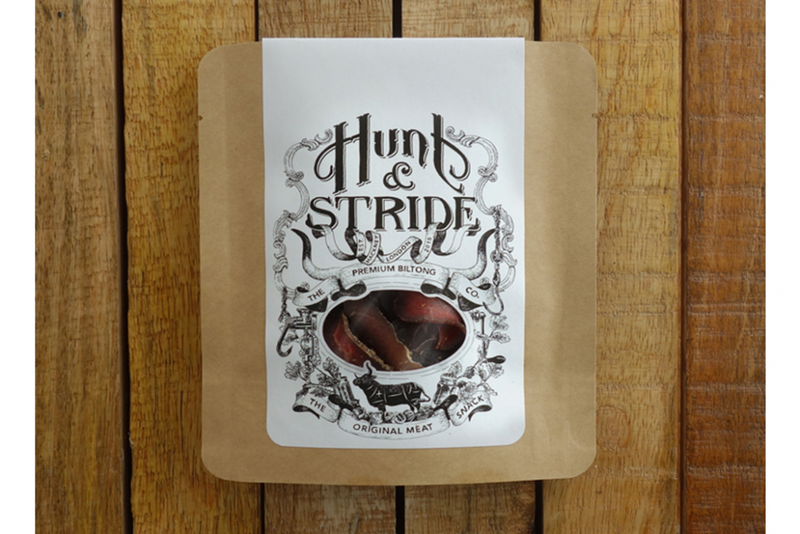 Hunt & Stride needed labels and packaging to tell its story and reflect its craft. 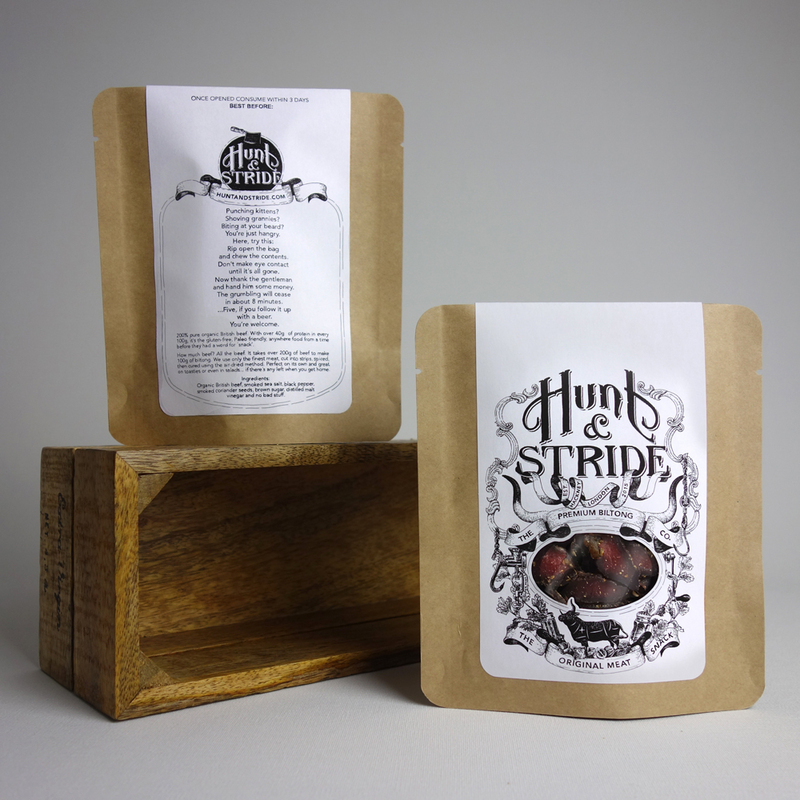 Hunt & Stride needed packaging that not only reflects its handmade, craft snacks, but since no preservatives are used, it was also important to choose packaging that would keep its products as fresh as possible for as long as possible.  Working with Shotopop, one of the best illustration companies in London, the beef biltong’s bespoke packaging was created around this brand message using the best packaging solution out there. Foil packs with oxygen absorbers were chosen to ensure the utmost product freshness, while the outside of the package is a brown paper material that reflects their handmade, craft snack contents to add an artisan touch. When it came to the package labels, a unique and striking design that told the Hunt & Stride story was essential. 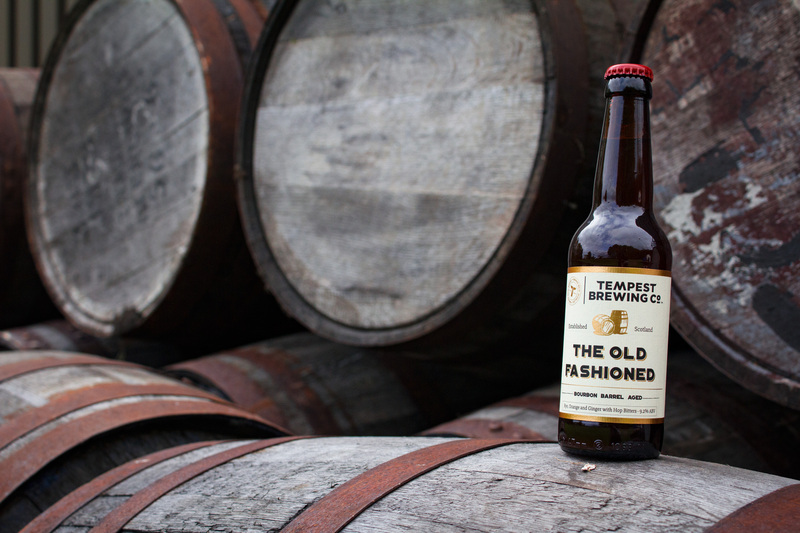 Shotopop created intricate branding designed specifically to compliment the company’s favourite specialty products – like craft beer, small batch whiskey, and good red wine. This required a completely custom-made cutting tool that perfectly cut each label without compromising the design. label.co.uk had the tool ready-to-use within 48 hours. 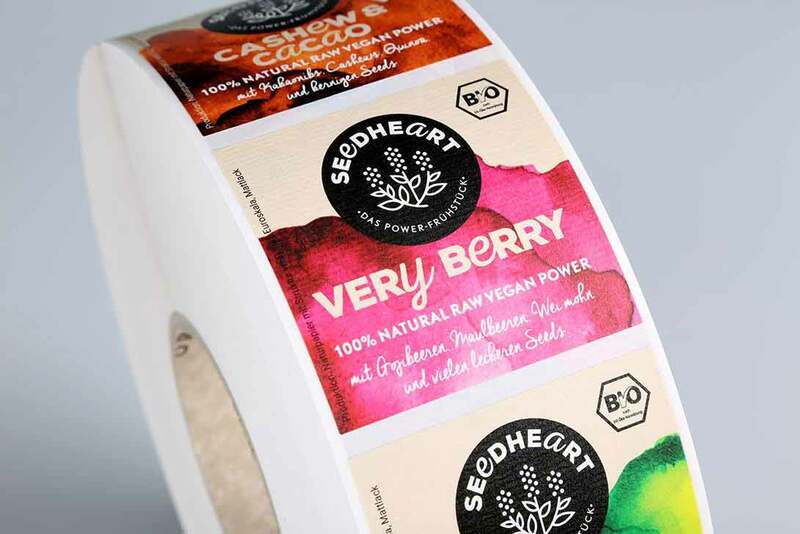 The quality of print was another important factor when it came to producing their labels – which required extensive research to find the right label manufacturer. The Hunt & Stride branding and label design is filled with small lines, intricate shadowing, and the tiniest details that all work together to create the Hunt & Stride brand story. So – high print quality was crucial. To prove that our labels are printed in the highest quality using the latest in digital printing, we sent the Hunt & Stride team sample labels from previous print jobs that showed just how fine of details we can print – on the required material – since the Kraft packages are heat-sealed, it was imperative to print the labels on a material that could withstand heat and moisture while maintaining the print quality and a matt craft paper appearance. 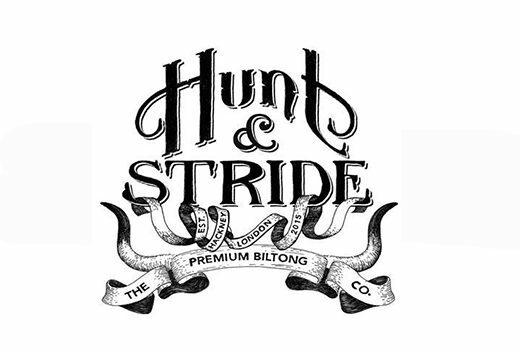 The final label design is a completely custom and unique label that’s interesting, striking and tells the Hunt & Stride brand story while showing off its artisan products. The labels also show off the finest in high-quality print and the benefits offered by digital printing technology that we’re able to offer our customers.